The Da Vinci Crafity Charity Workshop 2018 is the second collaboration between Da Vinci Creative Kids and OrphanCare, following last year’s successful effort of a Coco-themed candle art workshop which raised a fund of RM10,900. 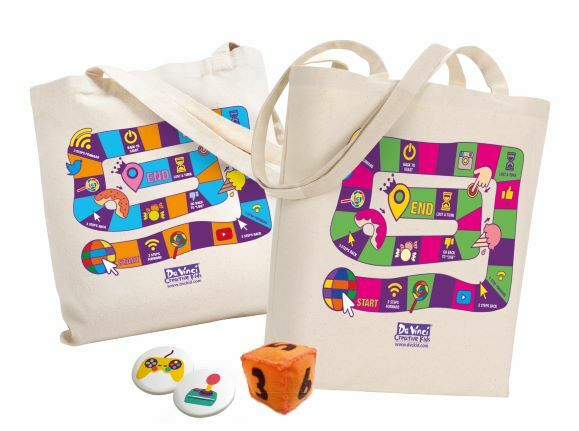 This year, in conjunction with the release of Disney’s “Ralph Breaks the Internet: Wreck-It Ralph 2” on November 22, children from ages 5 to 15 years old will learn how to make their own internet world-inspired board game tote bag. The sequel to Wreck-It Ralph; Ralph Breaks the Internet’s storyline focuses on the adventure of the arcade game characters in the World Wide Web, inspired by the fact that the internet and online platforms such as social media, video-sharing sites and online shopping have become a common necessity and has changed the way we live. 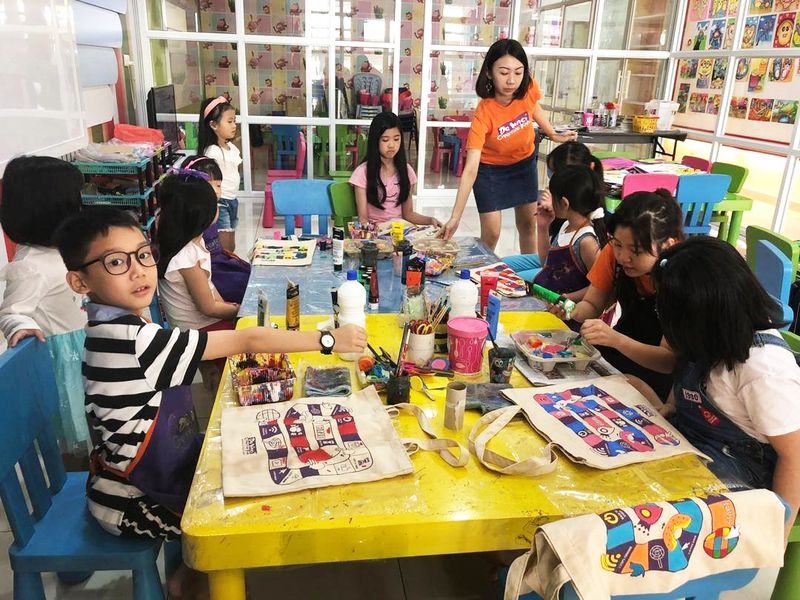 The tote bag craft concept adapts popular internet activities with a board game concept, as the workshop hopes to encourage children in this digital age to maintain their “human touch” and enjoy socializing with real friends instead of spending too much time on their gadgets. The workshop also aims to cultivate the value of empathy in the younger generation, encouraging them to empathise with the less fortunate who cannot even afford proper meals and basic living needs, let alone access to the internet. Participants are entitled to a DIY 38cm x 40cm canvas tote bag and game pieces, certificate of participation and a finisher badge. A recent scene of the Crafity Charity Workshop 2018 workshop hosted at one of the Da Vinci centres. There is reason to believe that the total donation this year will exceed that of last year’s, as the feedback received from Da Vinci students of participating centres has been positively good thus far. The practical functionality and fun aspect of the tote bag contributes to the workshop’s popularity. Children will be delighted to design their very own one-of-a-kind tote bag which they can have a game with their friends anytime anywhere. 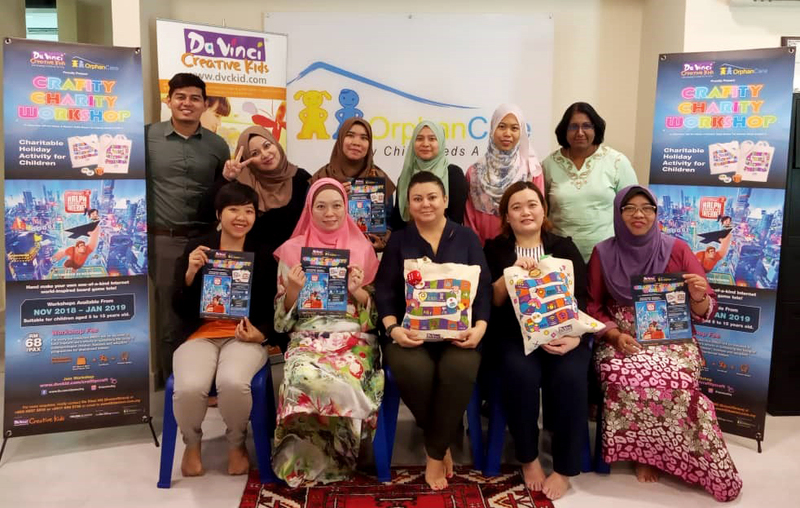 Da Vinci is in the midst of arranging with OrphanCare to organise a free workshop for some orphans, giving them the opportunity to exercise their creative talents and own their special board game tote bag. Crafity Charity Workshop 2018 event launch at OrphanCare Foundation’s office and baby hatch centre in Petaling Jaya. Want to sign your child up for this exciting school holiday event? Contact Da Vinci HQ at 03-5637 5510 / 017-689 5738 or email them at event@davinci.com.my. Visit www.dvckid.com/crafitycraft for more information. Workshops are arranged by contacting your preferred centre, so do get in touch with them!